The Regional Cooperative was founded in December of 2013 in the region of Westerkwartier (province of Groningen, Northern Netherlands). Its members are about 450 rural entrepreneurs, organised in diverse regional rural entrepreneurs’ associations, regional schools and universities of applied sciences – all supported by public bodies. Please click here to read the complete introduction. The Regional Cooperative is partner of REFRAME, a large European cooperation project. restoring and innovating regional food chains. We have prepared a number of fact sheets providing more information. They will be published here shortly. For more information, please click here to see a short presentation about the Regional Cooperative Westerkwartier. 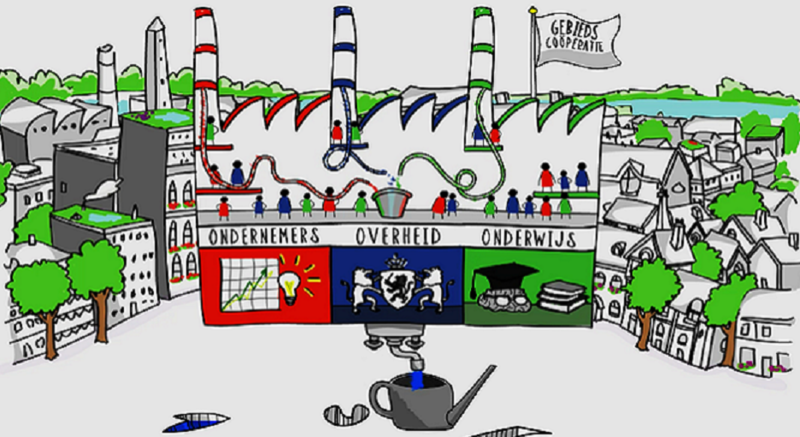 Please find here a short video explaining the raison d’être of the Regional Cooperative Westerkwartier.